Be a champion. Spread the word. The Caring for Cognitive Impairment campaign is about providing better outcomes and experiences for patients with cognitive impairment in hospitals, and for their loved ones and staff who care for them. By improving our knowledge and care practices, we can reduce the risk of harm in hospital. The campaign will help hospitals prepare for the new cognitive impairment items in the NSQHS Standards (second edition). The Cognitive Impairment resources consultation closed on 9 November and the responses are being considered for final review of the resources. People with cognitive impairment in hospital are at increased risk of preventable complications. Cognitive impairment is common, but is often not identified, or it is dismissed or misdiagnosed. We may dismiss symptoms of delirium as a normal part of ageing, or as dementia, potentially preventing us from taking action. We may not understand what a person is experiencing, which increases their distress. The first step to making a person’s stay safer is to understand the different forms of cognitive impairment, the people who are at risk, and what we need to be alert to. People with cognitive impairment in hospital are at increased risk of adverse events and preventable complications. We can minimise harm if we recognise cognitive impairment and act. We can prevent delirium with the right response to those at risk, and we can ask families to help. There are simple steps we can all take to keep people safe from the potential impact of cognitive impairment. This website has extensive resources to help. Everyone who cares for people with cognitive impairment can join the campaign – people living with cognitive impairment, carers, family members and other support people, doctors, nurses, allied health professionals, health service managers, and care and support staff. Champions are in hospitals, in primary health, in the community and in residential care. As an individual, we can take action. Hospitals can put systems in place for better care. Be prepared for the National Safety and Quality Health Service (NSQHS) Standards (second edition). Everyone has a role. Learn about cognitive impairment. Learn from others. Be part of the community making a difference. This webinar will be of interest to those who would like to understand how to set up and implement a person centred volunteer program within their hospital. The slides are available here. 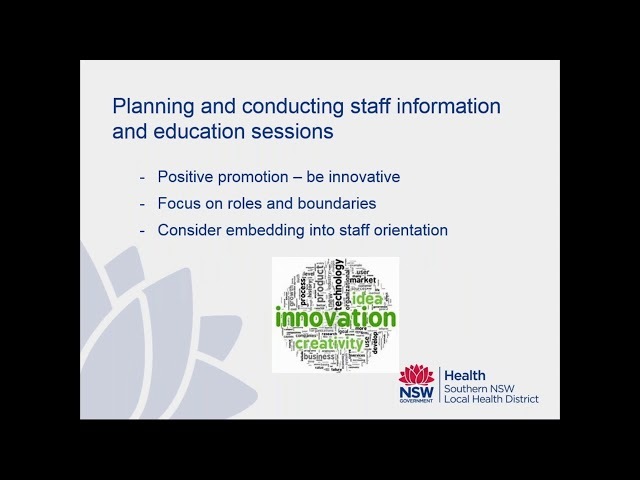 This webinar covers key elements including medication reconciliation and review, appropriate prescribing and consumer involvement along with illustrating the importance of a team approach. Slides available here. Supplementary video here. 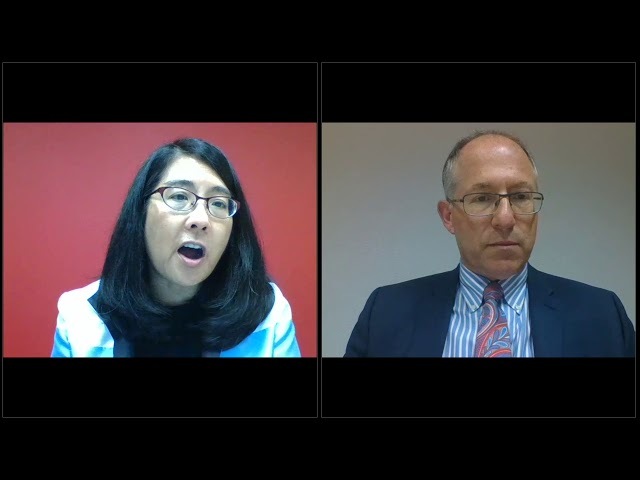 Professor Sharon Inouye is interviewed by Associate Professor Gideon Caplan. 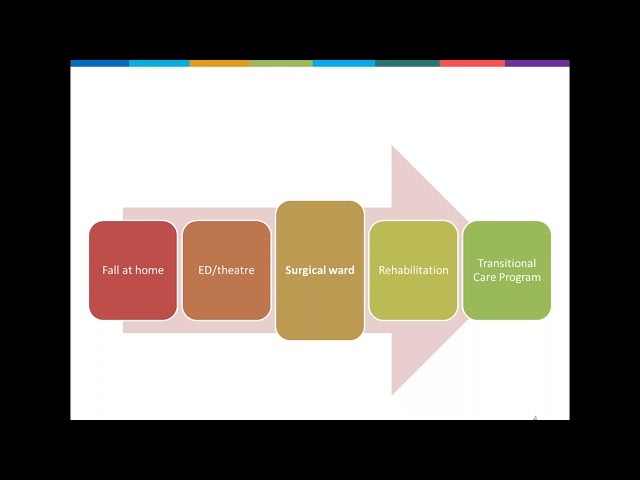 They discuss the vital importance of addressing delirium in our health care system. 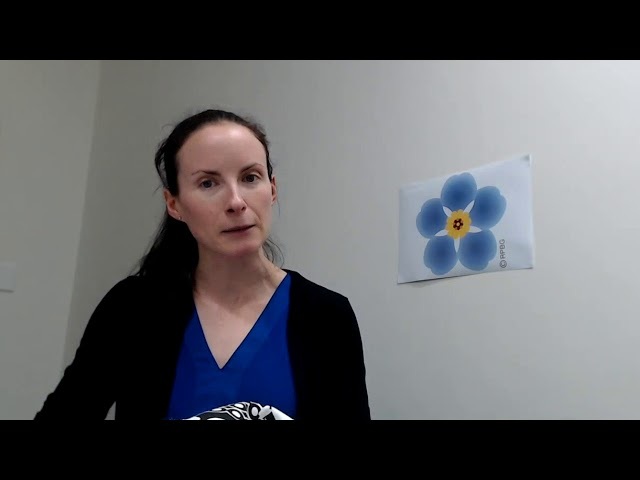 Ms Ellie Newman, the Coordinator for cognitive impairment at the Royal Perth Bentley Group, shares her top tips for cognitive impairment champions. To watch the full interview, click here. 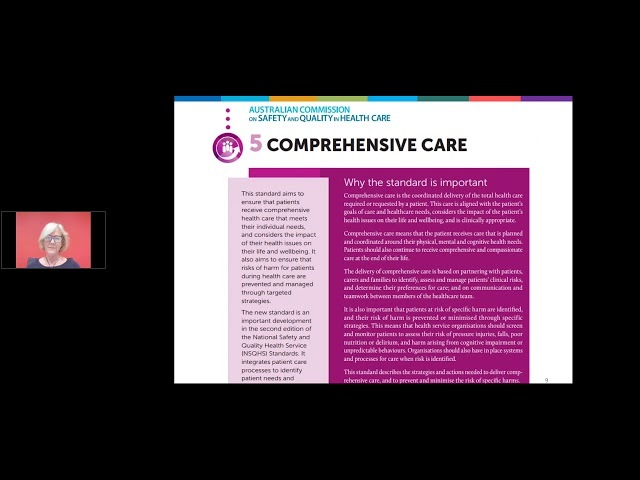 This webinar discusses the inclusion of cognitive impairment in NSQHS Standards and offered an opportunity for participants to consider their role as lead cognitive champions. Slides available here.